Photoshop WOrld is over and I have a ton of stories and images to share here and I want to start with a link to William Beem’s blog. 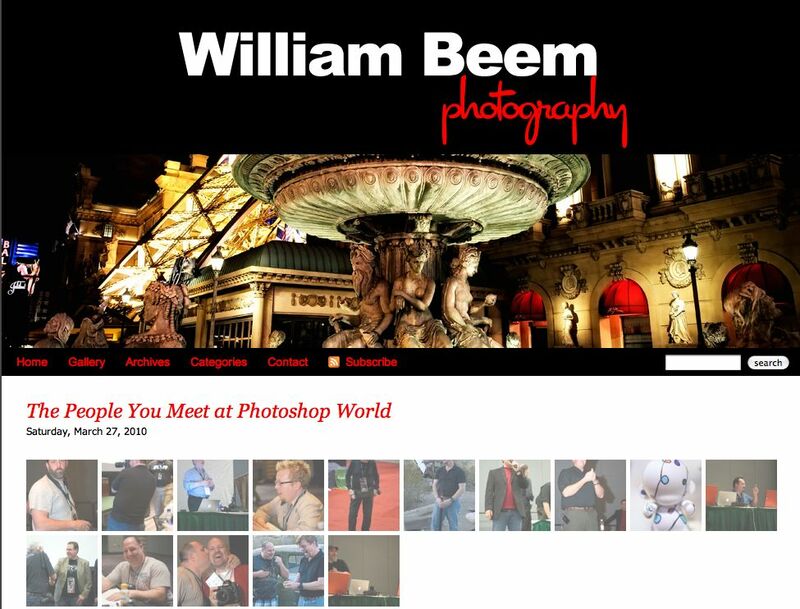 William has written a cool post about the people he met at Photoshop World. I am honored to have made the list and it was really great seeing William in both my Pre con and my regular class. So go HERE and read Williams take on the whole thing. Thanks, Alan. Once again, you and Scott did a great job in your session about concert photography, but the proof is in your shots. I saw people at the APC booth really checking out your shots of Scott Kelby and Billy Idol. They pulled people into the scene.